As the holidays scream upon us here in the Valley, the mood is concern. There is no snow at all. It has been slow and COLD, not many visitors. This should change soon with school being out…hopefully….but still no snow. The work has been pretty much the same for me, lots of pancake flipping, waffle making and muffin baking. I have been allowed to work the occasional event, which by far has been my best time in the kitchen. 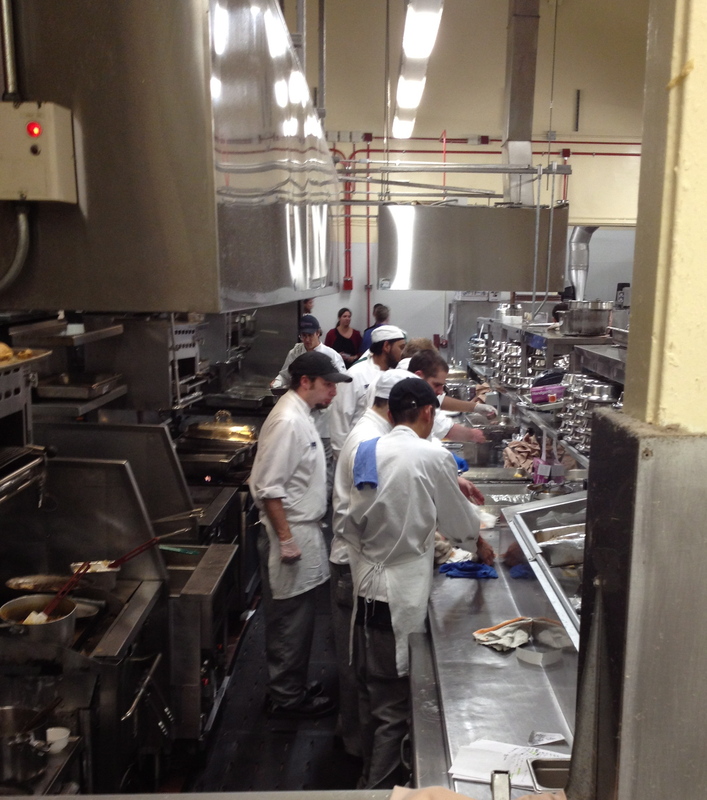 Watching the kitchen staff plate 250 dishes in 5-6 minutes for 4 to 5 courses is very cool, precise team work at it’s best. I worked the line on a couple of courses and it was cool to be a part of it…… very cool. 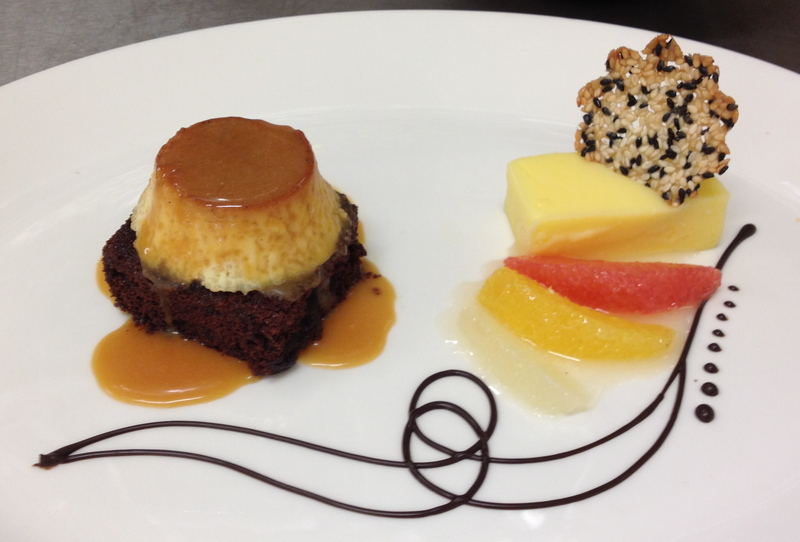 Here are few pics of the last couple weeks Chocolate Spice Cake topped with Fromage Blanc custard and caramel sauce. White chocolate lemon curd, citrus segments w/citrus sauce & a black and white sesame tuile. This was a dessert for a vintners dinner. 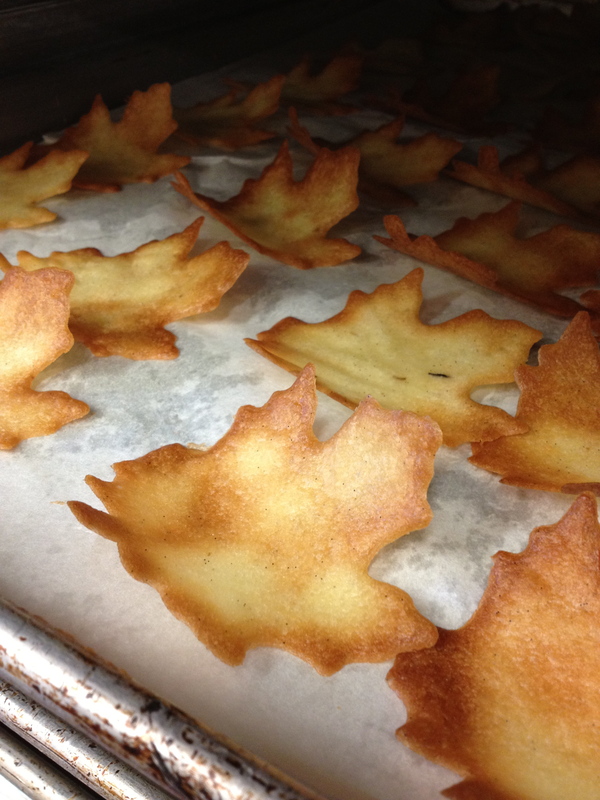 Maple Leaf Tuiles….. I made 200 of these last night and here is how they were used. 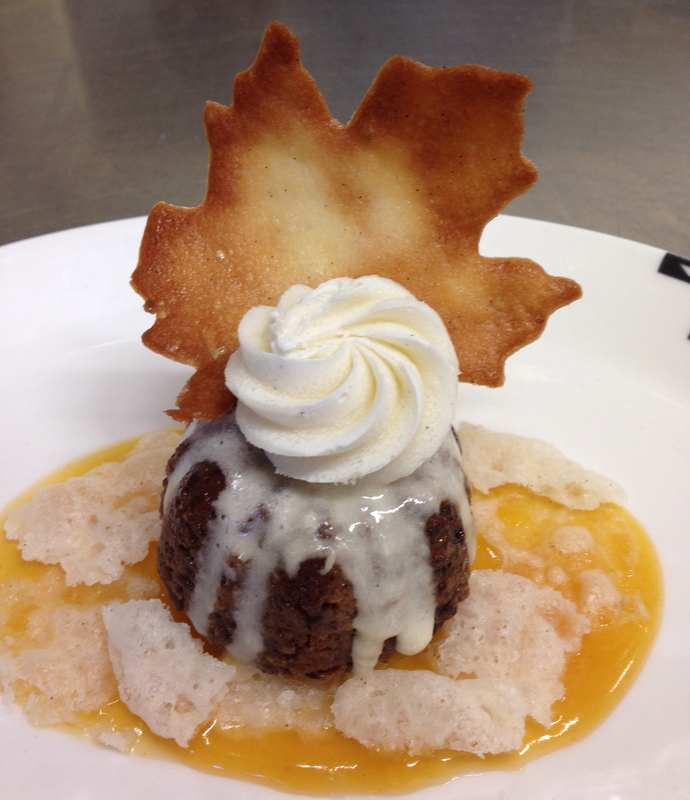 This is the steamed pudding dessert for the Bracebridge dinner. 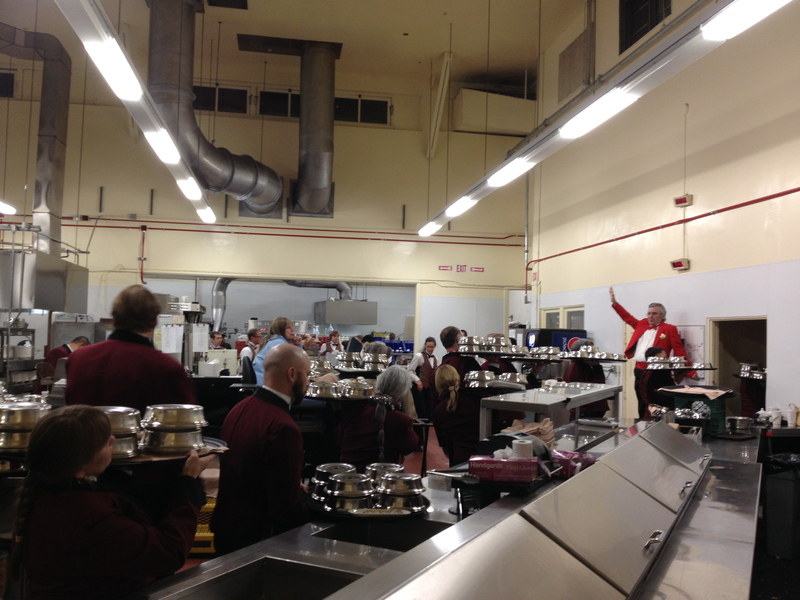 Here is a shot of the line, plating a course for Bracebridge Here is a shot of the servers waiting for their cue to enter the dinning room, see the guy in the red coat and tails…hand up meant silence….I’ve never heard a kitchen so quite. It was interesting to see this well choreographed event go down. This year was the 84th time it’s be done. I’ve decided to go after some work opportunities back home. I am invigorated and motivated to keep learning. I will be home by the end of the year, can’t wait to start the year with new experiences. My time here has given me courage, strength and made me so thankful for my education, my husband, my family, my home and my friends. The support you all have given me while I’ve been on this journey has been my lifeline. All of you that were my sounding boards while I moaned about being homesick, whined about the cold and sent me all the snail mail… you totally rock. I bet the post man is going to miss my silly squeals….. I love all you madly! This entry was posted in Culinary School, Yosemite and tagged internship in Yosemite by Sarah. Bookmark the permalink.